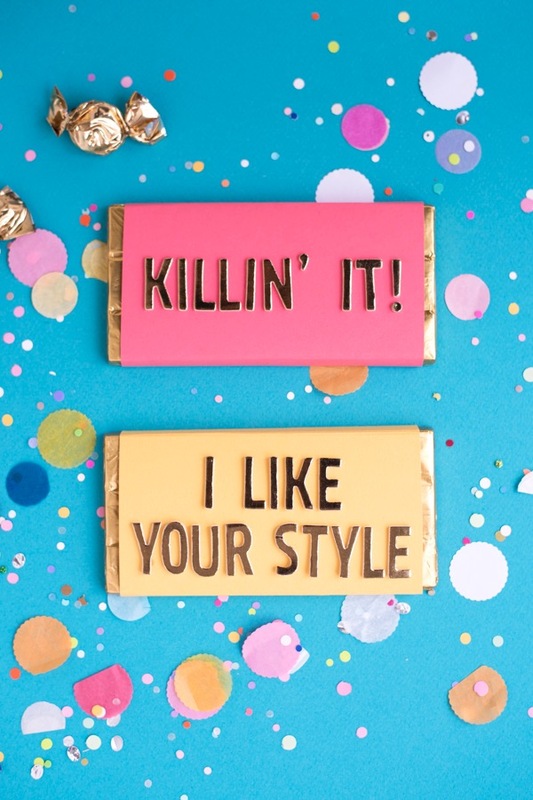 Did you know National Compliment Day is observed annually on January 24th? 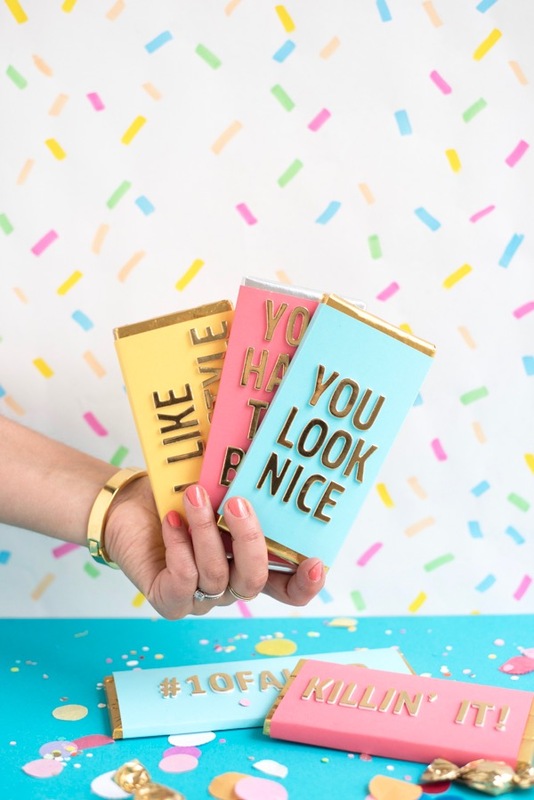 Want a sweet (literally) and simple way to give someone an extra compliment or two? 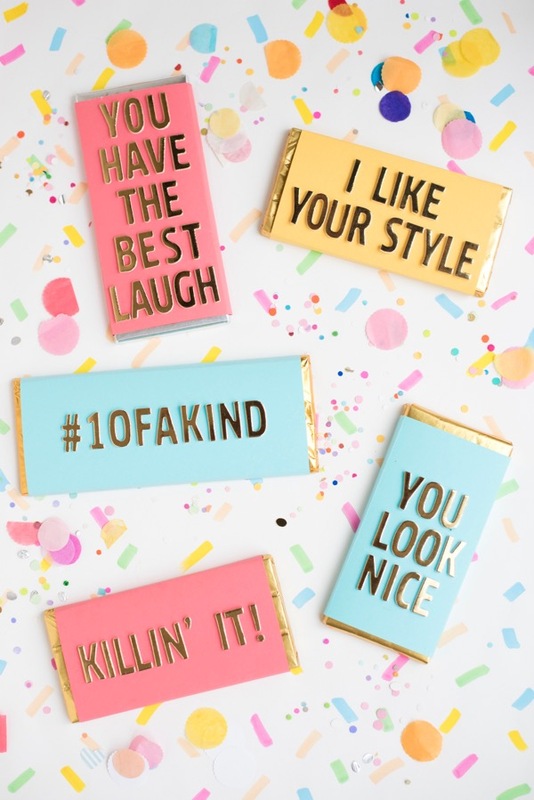 Go ahead and make someone’s day with these Compliment Candy Bars. 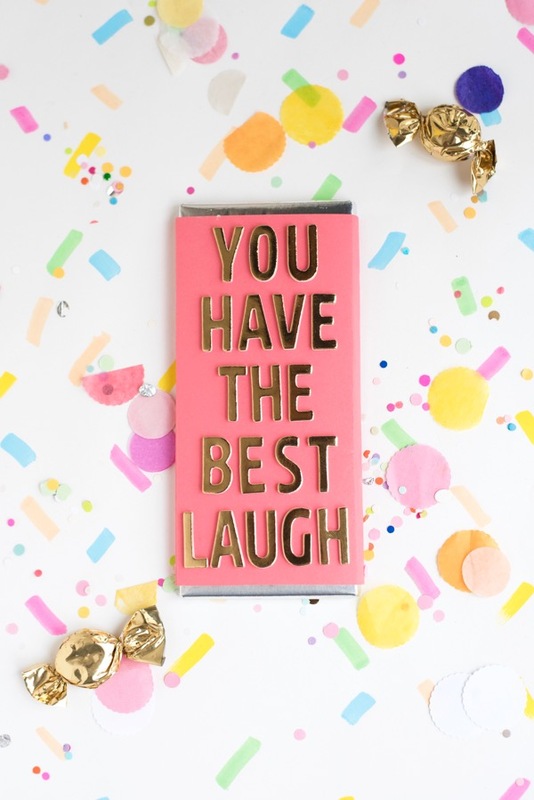 Your only dilemma – guessing if your friend is Team Milk Chocolate or Team Dark Chocolate! Step 1: Remove the outer wrapping of the candy bar. 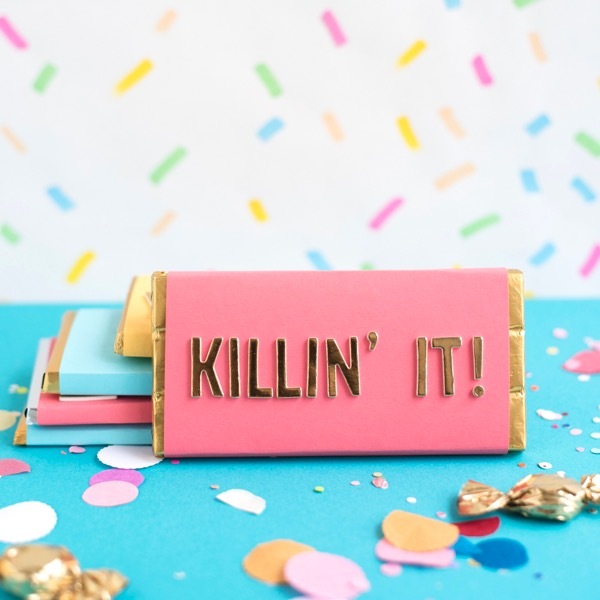 Step 2: Cut card stock ½” shorter than the candy bar, and long enough that you can wrap around the back of the bar. Center the paper around the bar, and wrap around the sides, using a ruler to help you get a crisp edge to fold. Secure the card stock on the backside with tape. Step 3: Place stickers on the front side, being careful to center and align the letters. 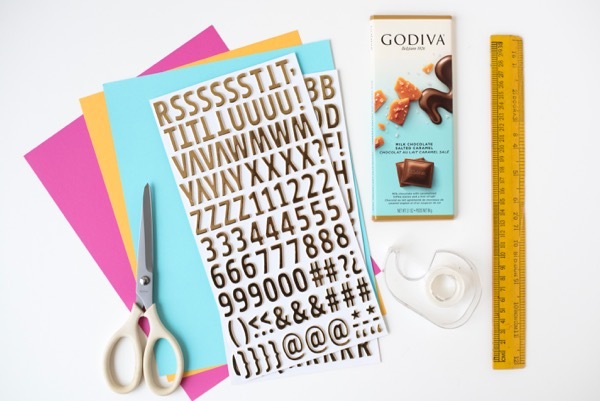 These are so cute and look really easy to do! What a fun and nice little crafty thing for friend. This is sooo cute! I would be happy to receive one!